Return policy and COD available. Amazon fashion offer- Get Flying Machine men’s Sneakers at lowest price. 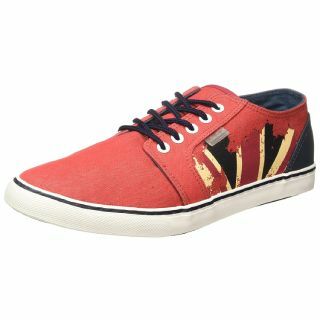 Here you get this Amazing Flying Machine Sneaker at Rs.501 only. Here different Color and Size available. Different size and color may be reason of the price change. You get 90 days Product Warranty against Manufacturing defects. Company use cotton material in this shoes thats by it is more comfortable in this Summer season. HURRY UP!!!! Offer is limited time period. Select and Add Sneaker in to your cart.